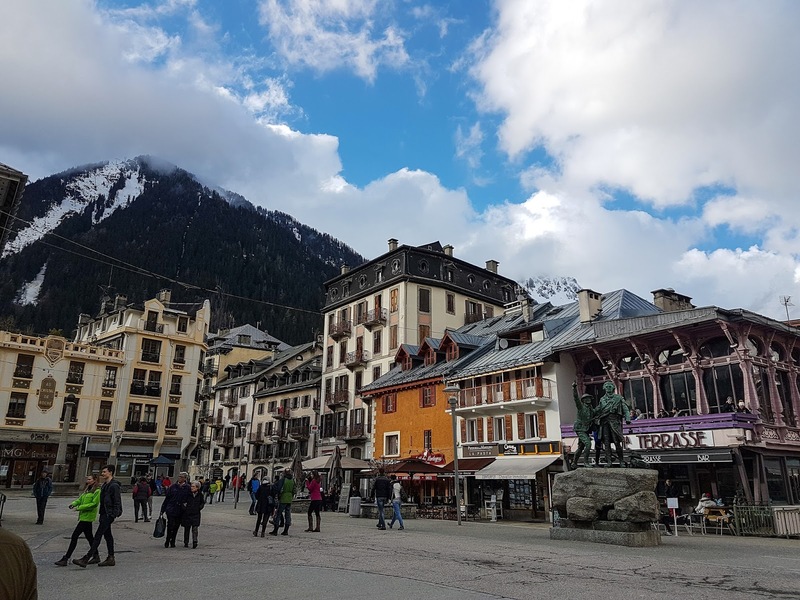 Charming Chamonix: or Another Skiing Holiday! 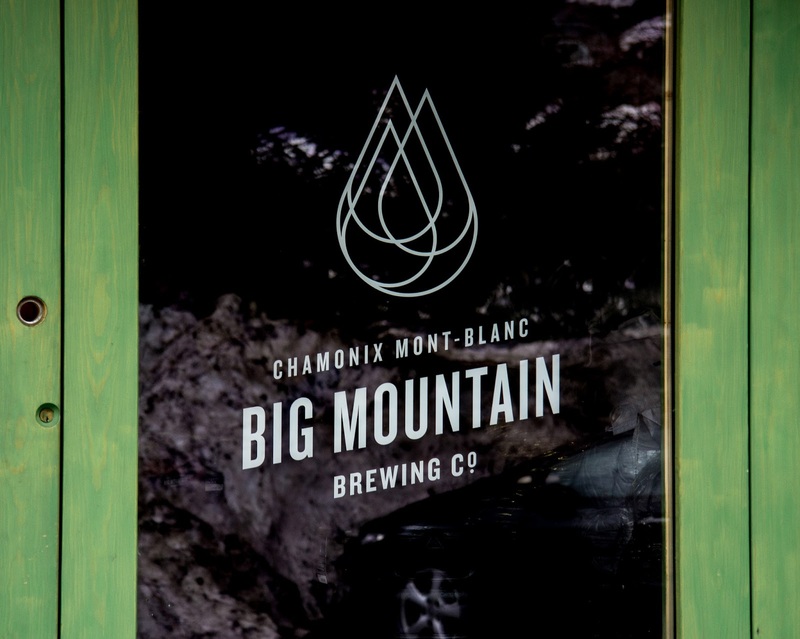 This time Chamonix! We were in the extremely fortunate position of being able to rent an apartment at mate’s rates in the heart of the town**. A cute little place directly opposite a couple of bars that turned out to be our favourite hangouts. Monkey did a mean brunch as well as tacos, burgers and cocktails while the owner of Big Horn Bistro and Bakery became quite familiar with our faces by the end of the week. 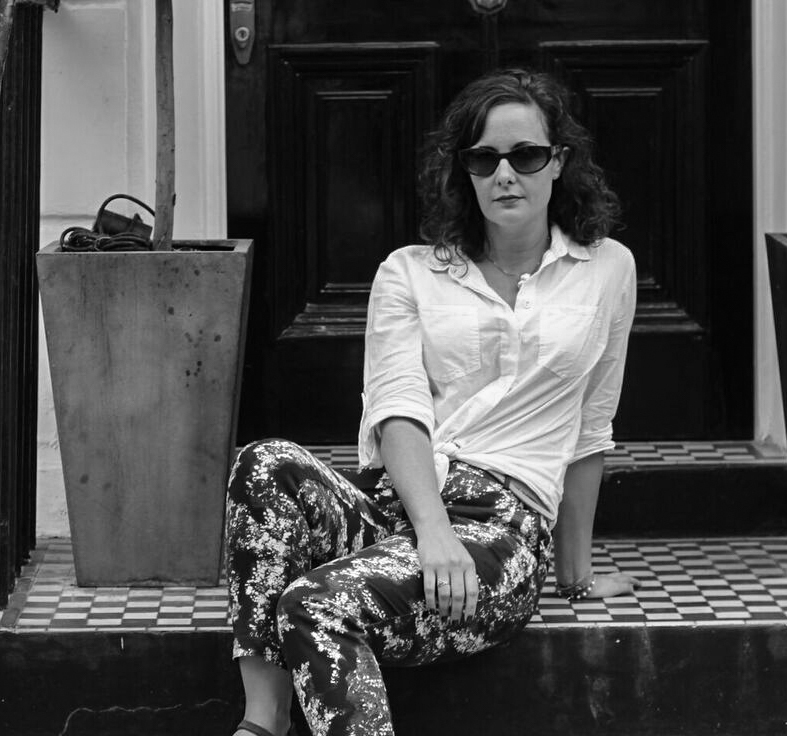 Their atmosphere, decor of animal hides and comfy leather chairs as well as the considerable gin collection made for very acceptable evenings. In short it was the perfect location. Chamonix has much to offer and is a popular resort familiar to most western middle class people that like to ski. From here you can get to both Italy and Switzerland on the slidey things attached to your feet if you’re good enough. We weren’t but no matter, from the charming, helpful people to the abundance of English speakers - my laziness truly knows no bounds - we did feel particularly welcome and managed to have all sorts of fun on the piste. However come March the altitude being only around 1,000 metres does mean it’s not the usual walking around in a snowy mountain town I had come to expect. 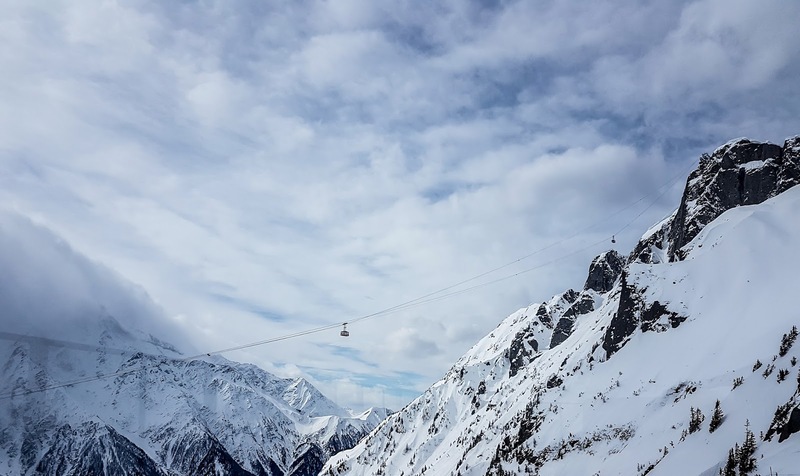 * With only black runs down to the centre you need to be advanced or a strong intermediate skier to get home without taking the bubble of shame (a cable car which transports you back down the mountain and is a real no-no in any of the higher resorts I’ve frequented). 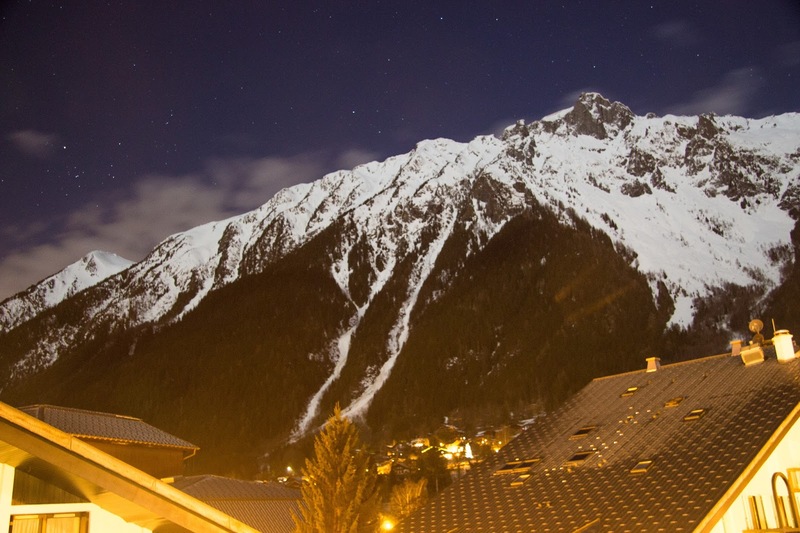 That said being a ‘real town’ Chamonix is great for the non-skier as well. The landscape, food and, importantly for moi, coffee being some of the most pleasing aspects. I love skiing as much as the next person, unless the next person is my husband who would ski all-day-every-day for the entirety of the season if he were able. I’m more of a few hours playing in the mountains then off to see what other adventures I can find snow bunny. Luckily my interest in photography meant I had a lot to play with night shots being particularly entertaining. Real ale drinkers might like to know Chamonix has its own brewery Big Mountain. Run by 2 brits it was small and charmingly shambolic when we popped in during a brew. While obviously busy the guys were so chatty and chilled happy to explain the process and generally be lovely. While I'm not an ale drinker I am advised their beer was the best in town. My home town of Cambridge has had more coffee shops open in the past few years then I’ve had ski holidays. I’ve not see the same dedication to the bean in the mountains, however it is starting to filter*** its way through. I LOVE a good coffee shop as my rather lovely husband knows so he sourced the best place for a morning brew. 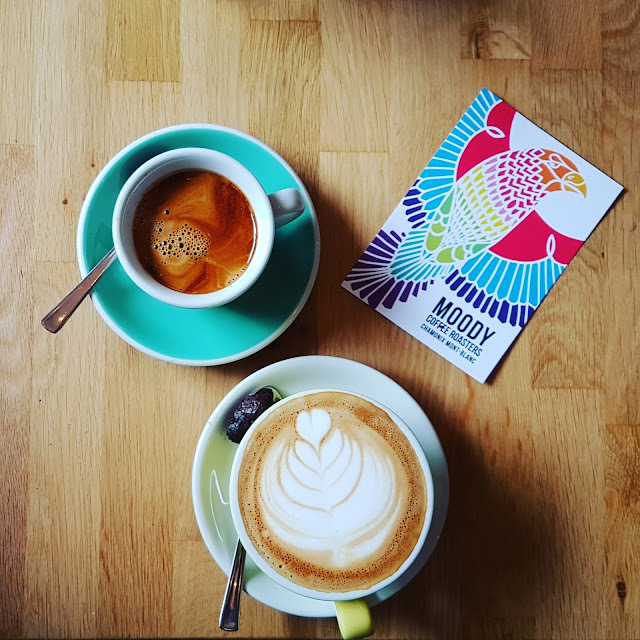 Moody Coffee Roasters, run by 2 brits**** is everything you'd want it to be, friendly staff, great cakes and wonderfully aromatic and tasty coffee. We sampled this most mornings and I was very happy with this ritual. If you’re invited on a ski holiday I would recommend Chamonix, whether you go for the pistes or the views alone is up to you but I think you’ll enjoy it. I certainly did though have visited France with alarming regularity this year and have a trip to Champagne on the way later next month. So I suppose I’d better stop being so bloody lazy and learn the language eh! See you at the top? *excuse me while I wipe away a crumb of privilege from my pampered cheek! **without getting all mean girls about it you can’t use it. You need to know Mrs M. or own a time machine, go back to 1990 and make friends with her at school, then stay in touch. Or make friends with her now. Whichever is easiest. **** sensing a trend here?